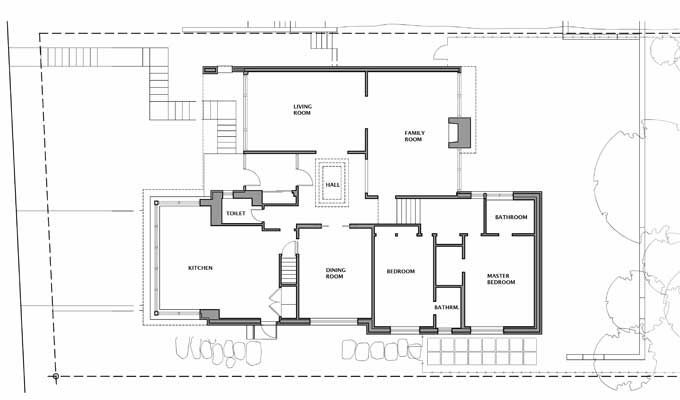 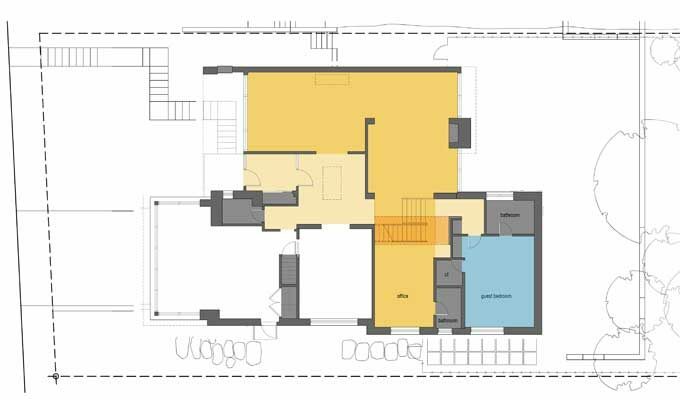 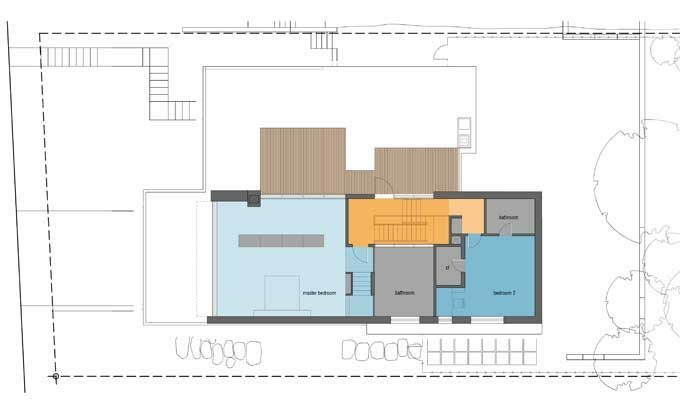 Proposed addition to a 1950’s house previously renovated in the 1990’s. 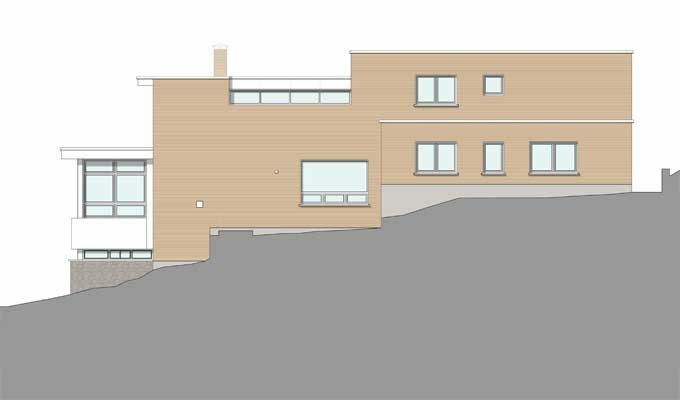 Because of its sloping site, the actual house is much smaller than the street view suggests. 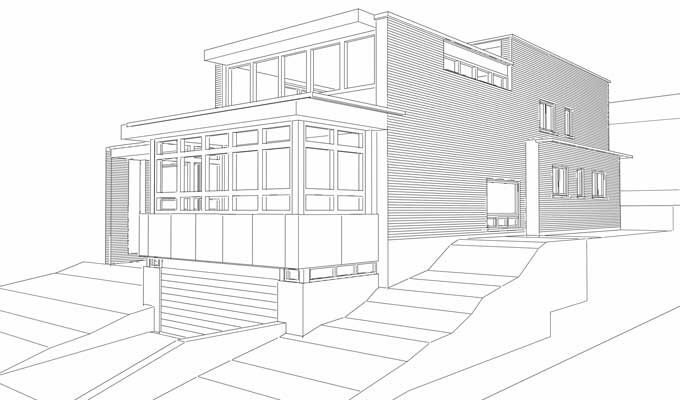 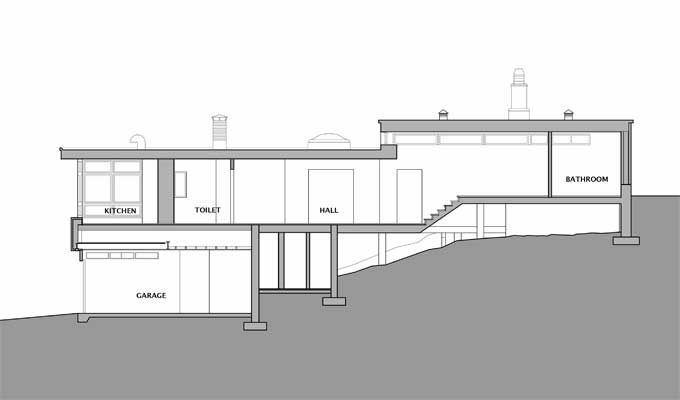 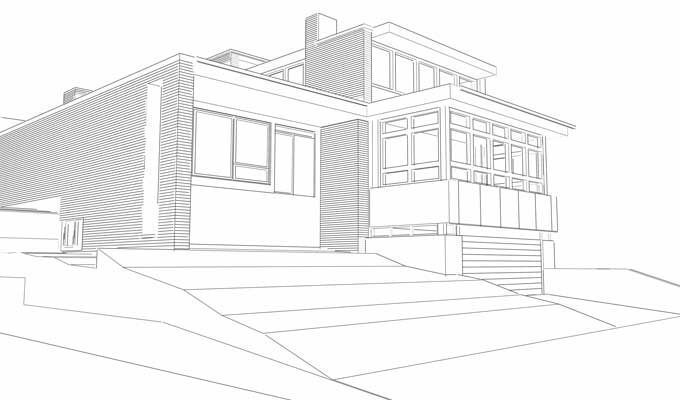 The proposed second storey addition draws on the character, massing, and spatial organisation of the existing building, considering also the view from the street, as well as the relation to the private garden and mountain slope rising behind the house.